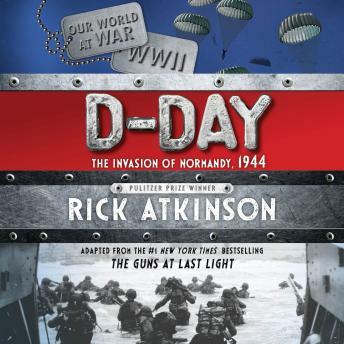 Adapted for young readers from the #1 New York Times-bestselling The Guns at Last Light, D-Day captures the events and the spirit of that day-June 6, 1944-the day that led to the liberation of western Europe from Nazi Germany's control. They came by sea and by sky to reclaim freedom from the occupying Germans, turning the tide of World War II. Atkinson skillfully guides his younger audience through the events leading up to, and of, the momentous day in this photo-illustrated adaptation. Perfect for history buffs and newcomers to the topic alike!